New Nomos Minimatik: Grande in every way! 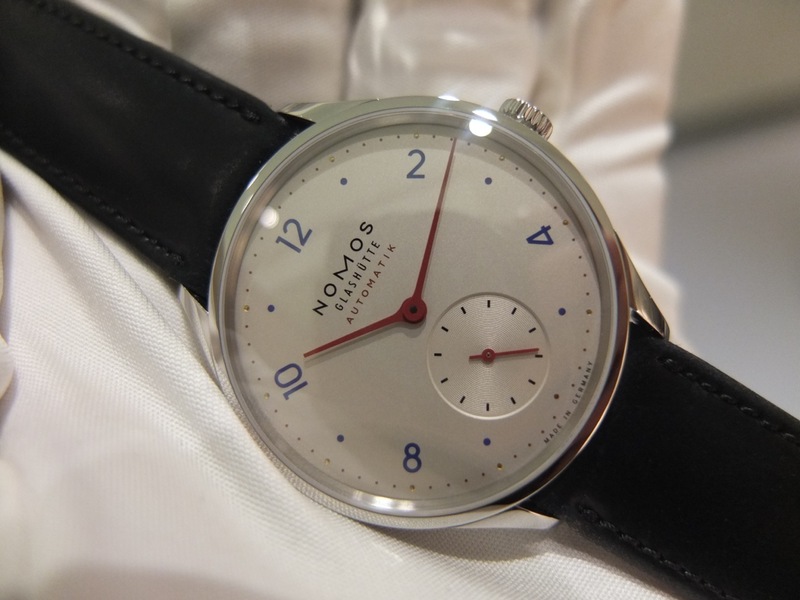 At Baselworld Nomos introduced a new watch called Minimatik. This name is proof of the subtilty of German humor since it might actually be the most grande watch Nomos has ever created. No not by size, actually definately not by size, because with a diameter of 35.5mm most men will raise an eyebrow. They should be ashamed of themselves, because a diameter of 35.5mm puts makes the Minimatik about the same size as the Datejust, and those beloved vintage Omega Seamaster’s and Constallation’s from the 1950’s. 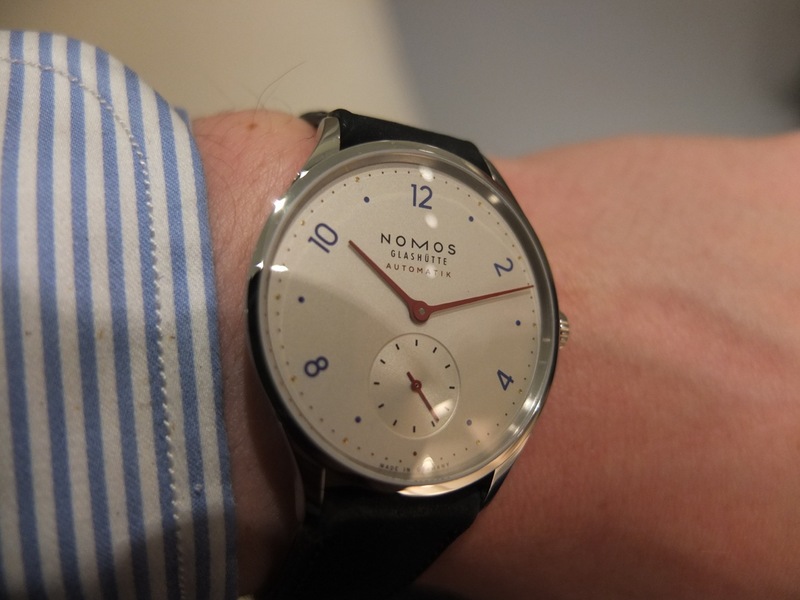 Actually since the Minimatik is, in good Nomos tradition, almost all dial, it wears more like a 38mm watch. In short, although most people probably will refer to the size of the Minimatik as unisex these days, many of us will be very happy by the size and wearing comfort once strapped on the wrist. Aiding to that wearing comfort is the height of only 8.6mm, which includes the slightly domed sapphire crystal that gives the watch an almost vintage look. That relatively low profile is mainly thanks to its movement, and what a movement it is! Nomos uses the Minimatik to introduce a new automatic manufacture caliber, which they named DUW3001. This isvVery exciting news since the movement is quite a home run! With a movement height of only 3.2mm it has the traditional Glashütte three-quarter plate, tempered blue screws, rhodium-plated surfaces with Glashütte ribbing and NOMOS perlage. But this movement is more than just good looking! With a power reserve of 42 hours, bi-directional winding, full balance bridge and adjusted in six positions it is a robust daily companion. As usual with Nomos, the watch may look minimalistic, but is in fact full of interesting details; from the unique shape of the hands to the minute track, where the dots at each hour are actually not dots but dimples that show the brass base of the dial. 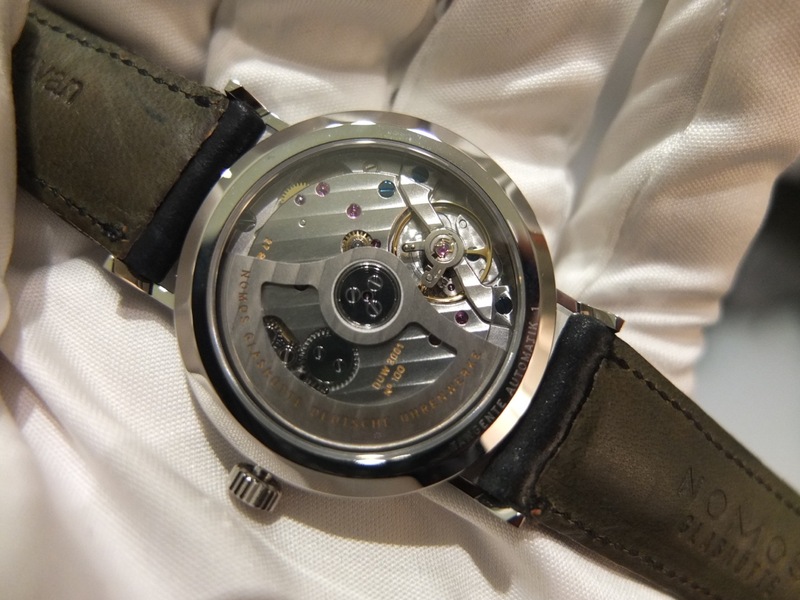 For a Nomos the case design is very fluid and organic, with a beautiful polish. However, the bezel actually sinks into the lugs and the lower part of the case in quite a stunning way. 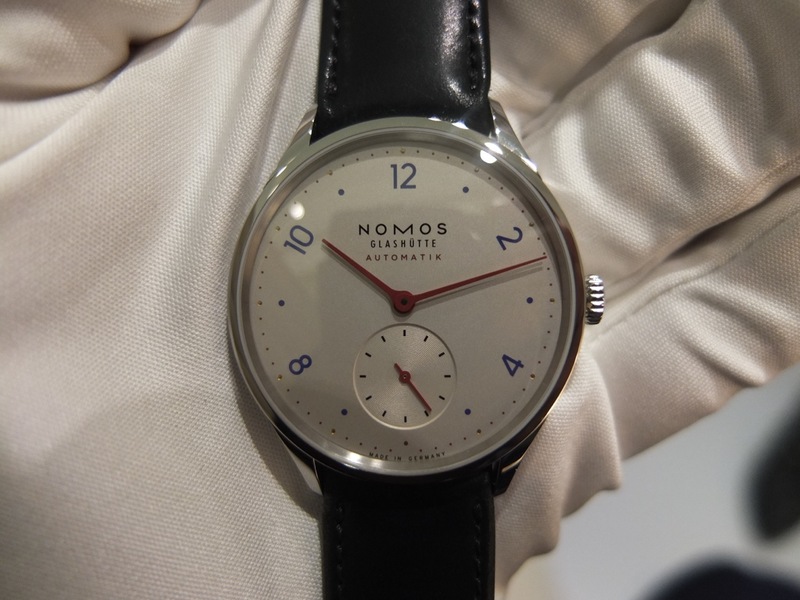 What is also stunning is the price that Nomos will charge you for this Minimatik; under 3,000 Euro’s. 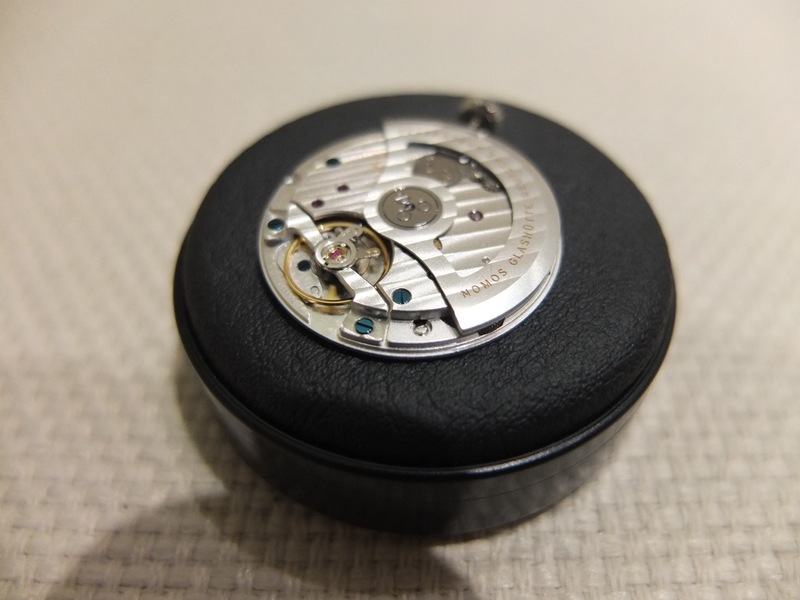 That makes this watch a very inexpensive way of obtaining an automatic manufacture movement from Glashütte, and will also give many, many Swiss brands quite a run for their money.